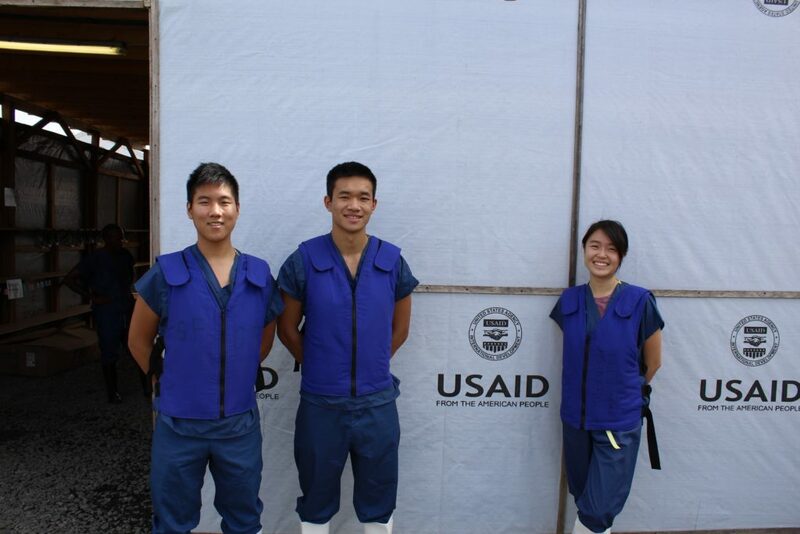 Jason Kang ‘16ENG, Katherine Jin ‘16CC, and Kevin Tyan ‘16CC founded Kinnos in response to the mounting Ebola crisis back in December 2014. Their goal? Develop a highly effective (and safe) decontamination product to help curb the spread of this highly infectious disease. The team mobilized around an important discovery: thousands of people were being infected with Ebola due to ineffective decontamination processes. Typical liquid disinfectants, such as bleach and hydrogen peroxide, are transparent, making it difficult for health workers on the front lines to effectively coat potentially contaminated surfaces. To address this issue, the trio came up with a simple, yet highly effective solution. Enter: Highlight, a powdered additive for disinfectant solutions, that’s completely revolutionizing the decontamination process. What’s more, Highlight’s colorant fades over time to both provide real-time feedback when decontamination is complete and to prevent staining on reusable materials such as medical tents or HazMat suits. While still in its early stages of implementation, Highlight has already garnered an impressive amount of recognition. A winner of the USAID Fighting Ebola Grand Challenge and the Columbia Venture Competition, among many more accolades, the product is now used by the Fire Department of New York in its HazMat operations. Additionally, the Kinnos team has done extensive field-testing with healthcare workers in Liberia and with International Medical Corps in Guinea, and has developed a strong relationship with Doctors Without Borders. Lab DispatchesDispatches From the Lab: Welcome to the 2017-2018 Cohort!